By getting recruitment right, you can be more inclusive. It's about helping employers take the right person for the job, regardless of their background. 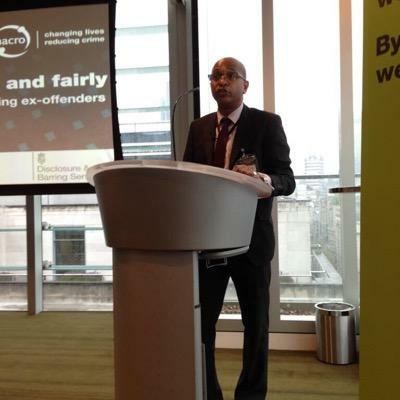 Dominic Headley, former legal officer at Nacro, has recently founded a new organisation that is dedicated to improving the life chances of the most vulnerable people in society. 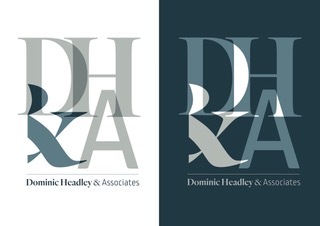 With a strong focus on employment opportunities, Dominic provides practical guidance for employers helping them revise their recruitment processes to ensure they have access to the best potential employees. He recognises that too many companies use criminal record disclosure as a means of rejecting applicants. 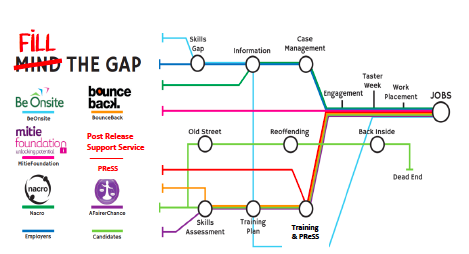 Through education and training employers can learn how to connect with the untapped resource that can be found amongst ex-offenders. By revising the age-old sift process of declining applicants with criminal records, businesses are able to modernise. Dominic gives them the tools to make this possible, by sitting down with employers and helping them get recruitment right. With his experience in business law and safeguarding, Dominic is in the fortunate position to be able challenge common assumptions and myths. In working with Dominic, businesses are empowered. By making small changes to their recruitment policies, they find that they are able to fill their skills gap. Not only is this beneficial in terms of social responsibility, but in an era of chronic skills shortages, it also makes smart business sense. As Dominic notes, it is important to explain to businesses that when done right, inclusive recruitment processes can be more productive, ensuring the business saves money and maximizes profits. Businesses need to know – no one is doing anyone a favour. You need workers and these people will work for you. It shouldn't be seen as a gift. I will try to work with them to say, by getting it right, you can open your doors. It is important to recognise that sometimes, having conversations about employing ex-offenders can be difficult and uncomfortable. This is why Dominic works with individuals from all levels of the employment chain including charities, employers, training providers and recruitment agencies. There is a need for training across the board, as everyone has a part to play in helping ex-offenders access opportunities. For instance, up-skilling the training for recruitment consultants helps them know how best to sell applicants to employers, highlighting their experience and suitability to the role, rather than their criminal record. Employers have to think about the consequences of their actions. Often, all they are doing is looking at a piece of paper and judging applicants by what they did on a given day. This mentality is what I am trying to challenge. Over the next year, Dominic aims to partner with work-place innovators to revise how we recruit in general, by demonstrating that businesses can avoid focusing solely on the education level of applicants. In creating a recruitment process that allows for the translation of skills, businesses will be able to see beyond the CV and instead see the motivated individual who is ready to work. Dominic encourages businesses to change. This is no mean feat as many businesses are often set in their ways and continue to implement policies that have been in place for many years. Highlighting the need for modern and inclusive recruitment processes, Dominic and his team are able to advocate diversity in the workplace and ensure all individuals have equal opportunities to succeed in life. It should just be about opening doors. And then all parties will win. Amongst his many activities, Dominic is heavily involved in the Mind The Gap initiative that is commissioned by CITB. This programme aims to utilise the skills and services of Nacro, A Fairer Chance, Bounce Back and the Mitie Foundation to develop an employment pathway into the construction industry for ex-offenders. We will be discussing this scheme in detail in a blog very soon.